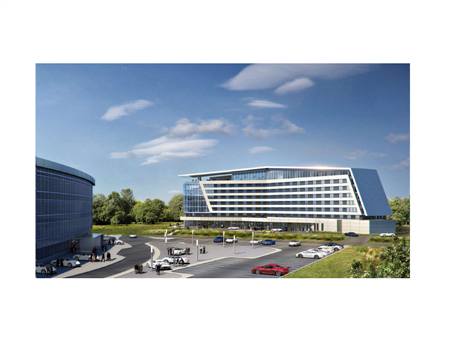 The Solís Hotel at Two Porsche Drive will be the first new hotel on the east side of Hartsfield-Jackson Atlanta International Airport since the opening of the new International Terminal. “We are grateful for the collaboration of the City of Hapeville and Fulton County, with our Development team, led by Castleton Holdings, LLC‘s Bruce Bradley and Condra Group, LLC’s Scott Condra. Exciting days are ahead, with ground-breaking scheduled for late March 2016,” said Greg Wilson, CEO, ACRON USA. The City will continue to announce further details in the future as they are readily available, so check back for details! For questions on this project, please contact the City Manager. A Rabb Family, City of Hapeville & Hapeville Development Authority partnership. Groundbreaking took place September 10, 2016. Expected to open Early 2017 as Corner Tavern and Tren Loco restaurants; a $1.5M Project at Dearborn Plaza on North Central Avenue. Two new restaurants in downtown Hapeville! The first building will be a 6,500 square-foot, two-story building with a brick façade. It will be built in a style similar to the surrounding historic buildings of the area. The first floor will house a Corner Tavern restaurant with the second floor serving as the new corporate headquarters for the company. The second restaurant will be Tren Loco, a taqueria and a new concept for the company. The building will be a 2,000 square-foot L-shaped structure built partially from repurposed shipping containers. 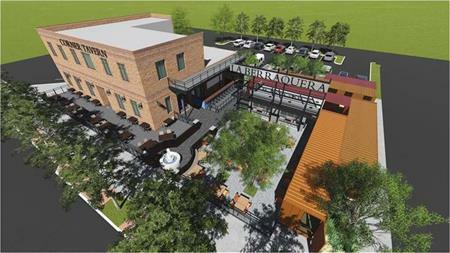 There will be space for outdoor dining along North Central Avenue in front of the Corner Tavern and an additional large courtyard for outdoor dining located between the two restaurants.